These toys, at the Bethel Save-A-Lot, is an example of items that are not allowed to be left at county recycling centers. BATAVIA, Ohio – The recycling drop-offs at Shor Park and Bethel Save-A-Lot have been removed indefinitely due to illegal dumping and misuse of the site, according to the Clermont County Office of Environmental Quality, which manages the drop-offs. 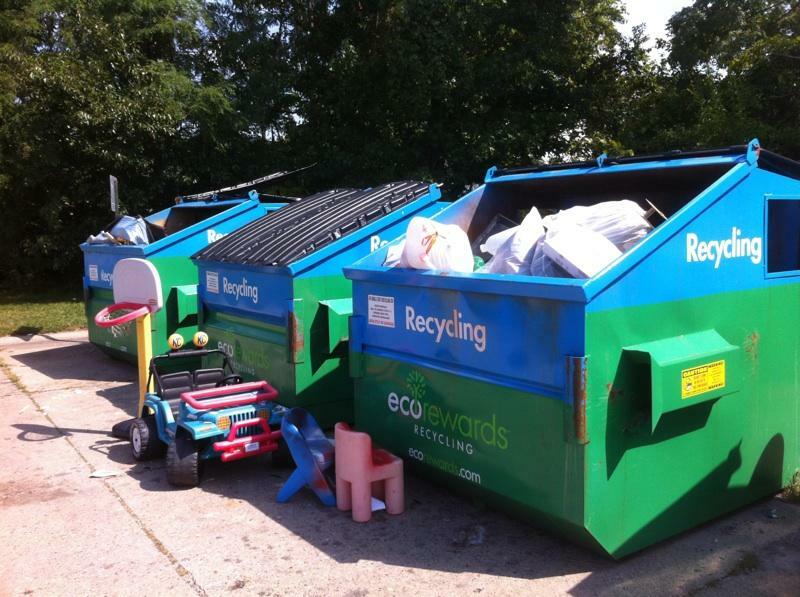 Residents can utilize any of the other drop-offs located throughout the county and found here: http://oeq.net/recycling. Items that are not allowed include furniture, mattresses, grills, construction waste, televisions, and unrecyclable plastics (toys, etc.). The closest remaining recycling drop-off to Shor Park is either the Salt Barn at 4015 Filager Road in Batavia or the Miami Township Fire Department South at 1154 US 50. Residents of the Village of Bethel and Tate Township are encouraged to sign up for curbside recycling collection through their waste hauler. The closest remaining drop-off to Bethel Save-A-Lot is located at the East Fork State Park office at 3294 Elklick Road.